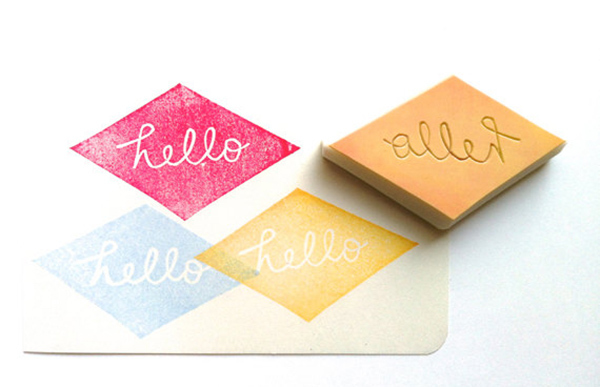 These rubber stamps from Etsy will have you on the hunt for coloured ink pads so you can get busy stamping birthday invites, teacher’s notes, wrapping paper – heck, you (meaning I) might even take to stamping the shopping list. Click through to discover where to find such gems. Japanese store Talk To The Sun is a treasure chest of amazingly awesome hand carved rubber stamps. 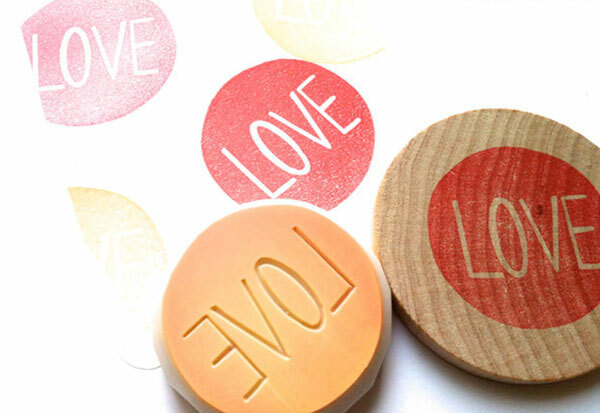 If you’re having a baby or throwing a party where you anticipate sending good old fashioned snail mail, these rubber stamps are perfect for embellishing those. Each stamp is made to order and there are plenty of choices, but just to give you an idea of what awaits, I’ve picked a few of my favourites. Looking for something for a baby shower? 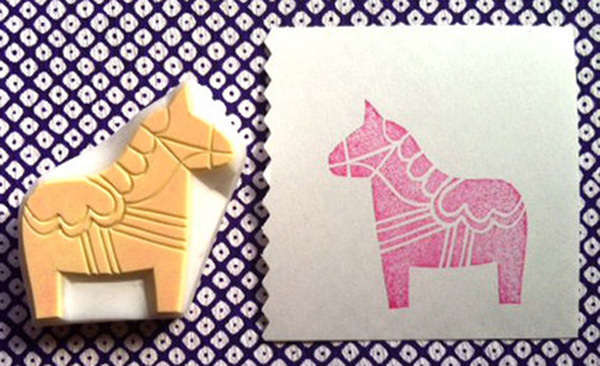 I highly recommend the Dala Horse Stamp ($8.90). Sending a letter to a friend? Go on and stamp the envelope with the Hello Stamp ($13.30), while the Ice cream Stamp ($7.80) is simply for my shameless love of ice cream. 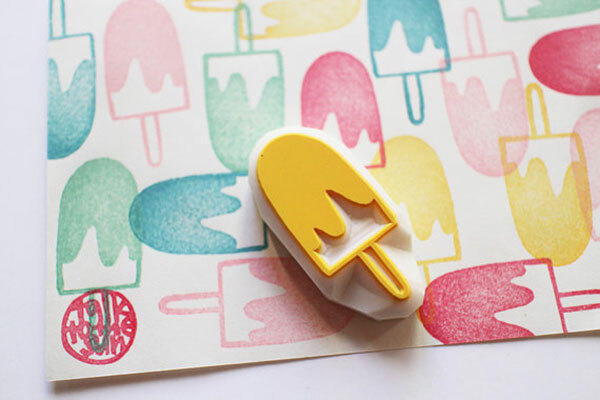 I know you’re all champing at the bit to get stamping now, but first check out all the stamping fun from Talk To The Sun.